Crikey that went fast. 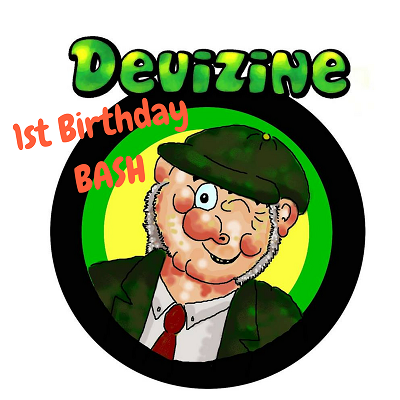 Come and join us as we Celebrate our first birthday. We have a great selection of artists, that will keep you entertained all evening. Proceeds from the evening are in aid of Cancer Research. Modern Country Rock Band based in the South of England. Bringing all the great modern Downtown Nashville sounds to your ears without the need to leave old Blighty! Influences: Luke Bryan, Brantley Gilbert, Jason Aldean, Eric Church, Tim Mcgraw, David Nail, Jake Owen, Florida Georgia Line. George Wilding is an English singer songwriter. Born in 1996, he now lives in Avebury, Wiltshire. He taught himself to play the guitar after his younger brother started having lessons, and was writing his own songs by the age of twelve. He had shown no particular interest in music in his formative years other than a tendency to hum words rather than speak them. Shying away from talent shows, he preferred instead to gain experience performing at local open mic slots where he has developed a loyal following. He describes his songs as abstract stories. He caught the eye of local musician Nick Harper who asked him to perform at his charity gig Avebury Rocks in 2011 for the Love, Hope and Strength Foundation. Along with Nick, he is the only performer to have played each year since, supporting acts such as Newton Falkner and The Levellers. This brought him to the attention of musician and songwriter Gary Saunders, who had moved from London to Wiltshire, and had built a reputation for performing, production and arranging. For his EP Being Ragdollian they enlisted the help of Stu Rowe at his Lighter thief Studios in Swindon. Gary and Stu chose a number of musicians they had worked with over the last couple of decades to help bring George’s songs to life. Andy Phillips, a long time collaborator of Gary’s, was brought in to play drums; Stu’s brothers Pete, who owns The Ladder Factory Studio in Shrivenham, recorded the drums through a vintage Trident desk; and Mikey, who took time out from touring with Noel Gallagher’s High Flying Birds, played keyboards on the tracks. All these veteran musicians were blown away by the strength of George’s material and it is very rare to find the kind of song-writing craft George possesses at such an early age. An Acoustic Folk/Blues songwriter and musician from South West England. With influences such as Laura Marling, Seth Lakeman and the Levellers, you'll be in for a whirlwind of charismatic tale telling. Phil is a contemporary singer/songwriter who has earned excellent reviews from the national press, with his thought provoking songwriting and energetic live performances drawing comparisons to Neil Finn, Glenn Tilbrook and Ben Folds. During his live shows, he makes a real connection with the crowd, whether it’s handing out dozens of egg shakers, or passing around his “doodle book” for the audience to draw in. Every now and then you’ll catch him unplugging his guitar and shunning the stage to stand right in among the captivated audience. 2016 is an exciting prospect that sees Phil turning his back on his life in executive management (he was Technical Director for an internet company) and plunge head first into a fully professional music career with the help of a brand new album, “Things I’ll Never Say”. Phil is also heavily involved with the Village Pump Folk Festival, having stage managed the Village Pump Stage since 2012. Teenage indie/rock band from Devizes, Wiltshire. Currently gigging around and releasing our own songs. Singer-songwriter Lottie J has been making headlines since she was 8 years old, and has been further encouraged by Jamie Cullum when he visited her school and donated his old piano. In 2016 Lottie made the Grand Final of Future Music’s Songwriting Competition, which took place at the renowned Dingwalls in Camden, London with judges including Ivor Novella Award winner Mark Hill. Sound Affects is a unique, highly experienced, and skilled alternative acoustic duo, which performs original material, arranged in an acoustic format, with echoes of classical and folk music. As well as being classically trained while young, we have played in alternative and indie rock bands for many years; and we think we have brought that “alternative vibe” into our acoustic performances. We have worked with and alongside many notable artists over the years including: Rick Buckler and Bruce Foxton; The Killertones; The English Beat; DreadZone; Kingmaker; King Kurt; Dodgy; Mark Morriss; Pope (featuring Chris Pope, formerly of The Chords); Inspiral Carpets; The Gift; Roddy Radiation and the Skabilly Rebels; B-Side Players; and The Champions Inc. We are regulars on the UK classic scootering and folk festival scene.